Don’t be surprised if your next therapist has four legs, instead of two. First: Horses. They’ve been used in medical treatment in Europe since the 1860s. 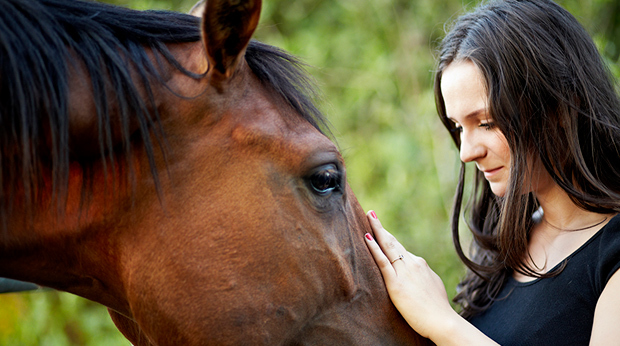 And just being around horses, whether they’re being petted, groomed, or walked around a corral, has been shown to improve symptoms of post traumatic stress in children and teens. Next: Rabbits and turtles. Researchers at Tel Aviv University asked stressed-out adults to interact with either a live or toy rabbit or turtle. The result: The toys had zero effect. But people petting a living creature saw a measurable drop in stress and anxiety. Even better, the type of live animal wasn’t important. It didn’t need to be soft, cuddly and furry. Another excellent therapy animal: The guinea pig. Psychologist Dr. Maggie O'Haire from Purdue University found just having a guinea pig in a classroom of autistic children measurably reduced stress. It also improved socialization, and encouraged the kids to smile and laugh more with each other. Finally: Even insects can provide therapy. Korean researchers gave elderly people cages containing 5 crickets that needed to be fed and watered. And after 8 weeks, the cricket-keepers were less depressed.